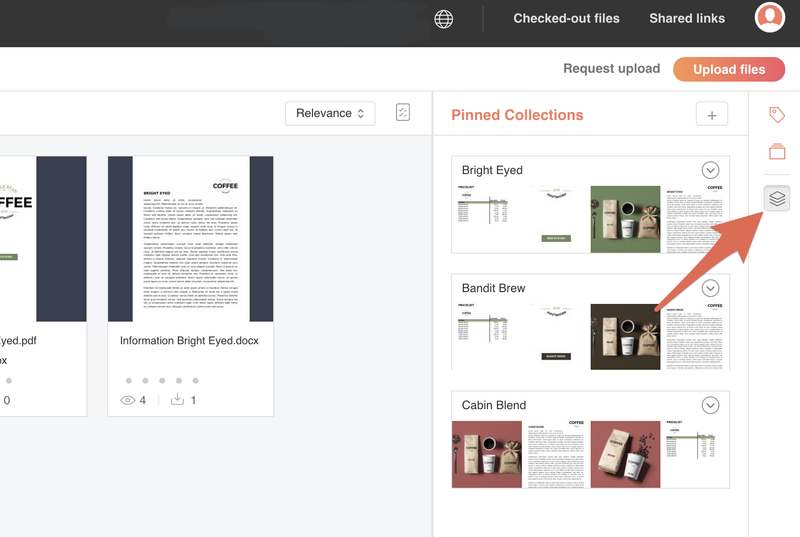 The Pinned Collections panel is accessed by clicking the Pinned Collections icon in the toolbar. Create a new Collection (see below). Note: The following is not supported: Adding a Collection to a Collection.